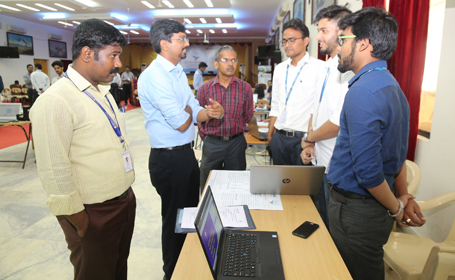 GYAN DISHA 2018, A Project Expo of Final Year Students & Faculty members was held on 8th May 2018 at MGR Hall, HITS. This event was organized and sponsored by Hindustan Alumni Association (HITSAA). 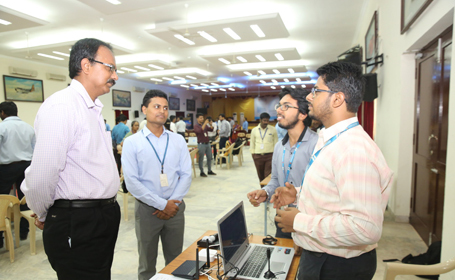 GYAN DISHA was an opportunity to showcase the innovative ideas in the respective Engineering fields. There were both Industry defined Projects & User Defined Projects. 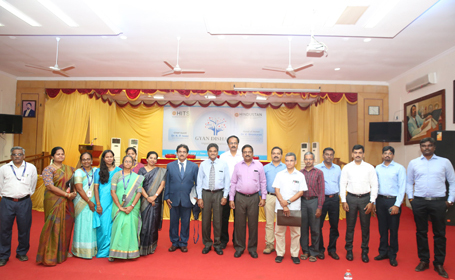 The Projects were judged by our distinguished Alumni from various industries. The Projects were judged based on Innovativeness and creativity within IDP as well as utility of the Project for Industry / Academic or Society. Faculty Participated: about 25 Faculty members. No. of Projects considered for Government funding: 20 Projects. No. of Jury Alumni. 15 Alumni from Industry & Entrepreneur background. The Event motto was all about creating a platform for Alumni and Students Interaction. We foresee a scope of Placement Synergy, Career Guidance, Spot Recruitments, and Patent Filing and Govt. funding for Entrepreneur initiatives and Value addition courses and eventually a bond between Alumni, Alma mater & Current Students, thereby promoting Development of our Institution and Development of individual as well. All the schools had been awarded three prizes with cash awards sponsored by Alumni. And all the participants received Participation certificate. Also Dr. Bhaskaran Deputy Director, MSME, Govt. of TN & President of HITSAA ensured funding to many projects through various schemes. 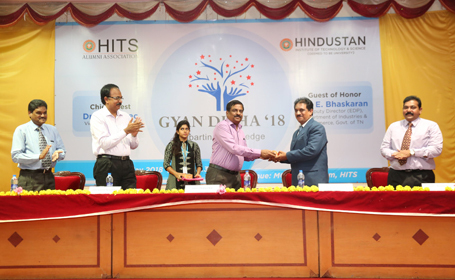 HITSAA has decided to conduct GYAN DISHA every year totally powered by alumni association in a grand manner. In School of Mechanical sciences, Automatic Brake Failure Indication with Electromagnetic coil fetched the first Prize. In School of Building Sciences, Both Architecture (Coastal Reform at colachel Fishing Harbor) and Civil (Development of Polyester Design Development Block utilizing the glass Foundry Waste) fetched first Prize. In school of Computing Sciences “Brain tumor Segmentation & type Identification” fetched First Prize. School of Electrical Sciences, Solar Panel Automatic Cleaning Robot with /traction Control algorithm fetched First Prize.